Happy 28th Birthday Domain Names! Happy 28th Birthday to domain names! On March 15th 1985, Symbolics.com was registered – one more link for them here. 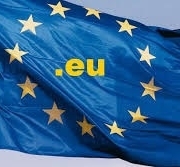 Will the proliferation of top-level extensions dilute the recognition, power and value of the .com? https://www.cressive.com/wp-content/uploads/2018/04/logo-black-text-1030x255.png 0 0 CressiveAdminUser5342 https://www.cressive.com/wp-content/uploads/2018/04/logo-black-text-1030x255.png CressiveAdminUser53422013-03-15 09:35:402013-03-15 09:35:40Happy 28th Birthday Domain Names!